Prepare bacon according to package directions. Spread 2 Tbls. of the Pesto Mayonnaise over one flatbread. 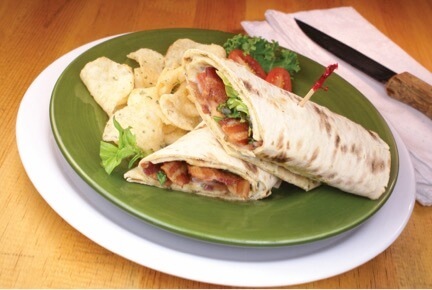 Place the cooked bacon strips, tomato slices, basil leaves and chopped greens on one end of the flatbread. Roll up the flatbread beginning at the end with the filling ingredients and continue until completely rolled.